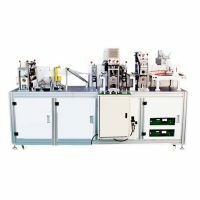 This fully-auto cup face mask covering piece making machine is used for the processing of cup mask outer layer production, it utilize principle of ultrasonic cutting and automatic sealing to finish the cutting and sealing for outer layer of cup mask. 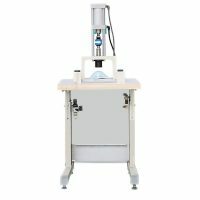 This machine solve the tranditional problems: inaccurate positioning and size,low efficiency,and hing cost price of labour. 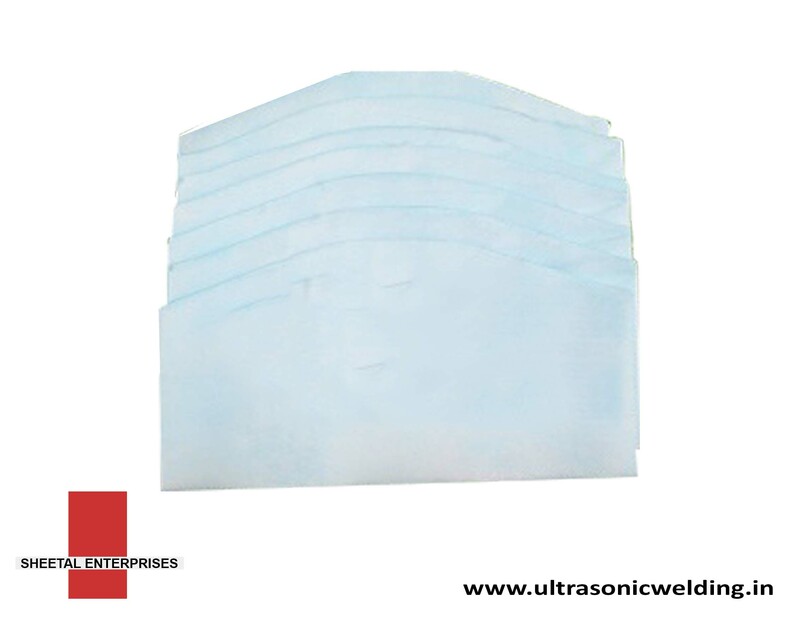 It can automatic feeding,ultrasonic cutting,and scrap in sunder, improve the production efficiency,reduce the production cost price,and make the product to be more standarder,high quality and beautiful shape. 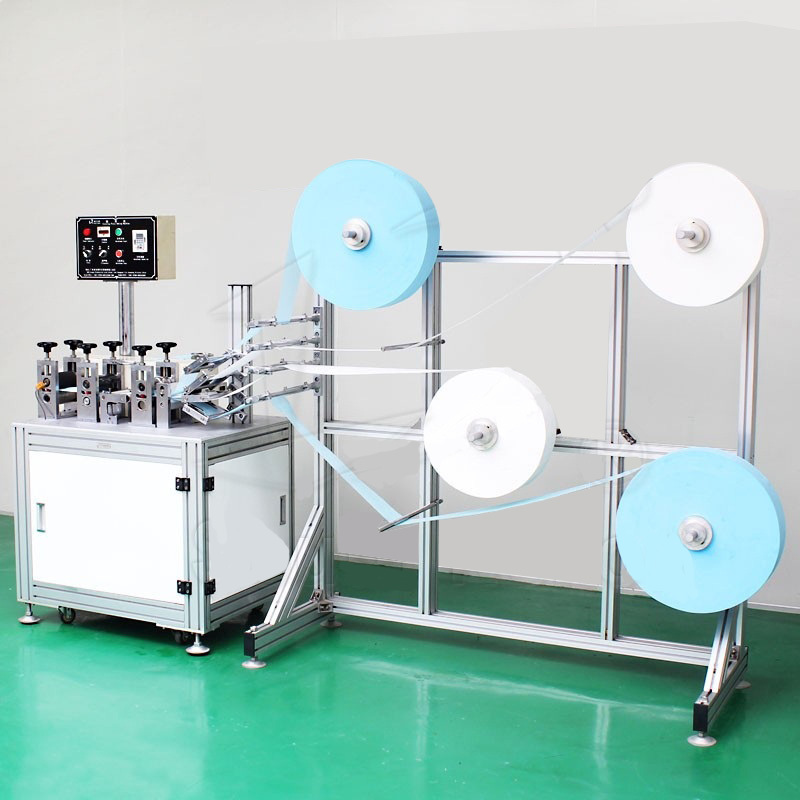 Pull tube feeding, positioning is more accurate, it can control to a minimum width of raw materials and save cost. 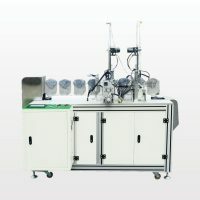 Independent feeding shelf,easy to operate and adjust the raw materia. 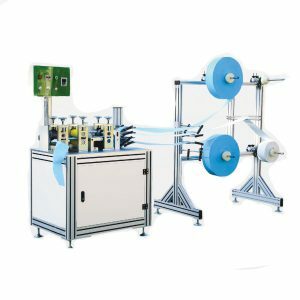 High degree of automation, low requirement of worker, just need to put on the raw material to the machine and take out the finished. 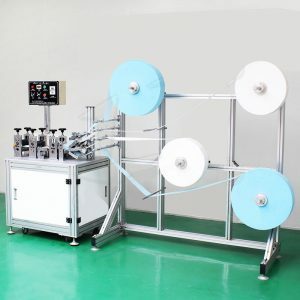 Automatic counting,can active control production efficiency and production schedule. Inverter control,the production speed can be adjusted according to the request. 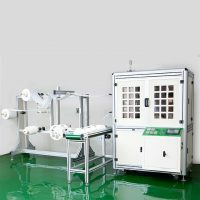 Rotary control box,the direction of the control box can be adjusted according to the request. Automatic scrap collection,reduce the workload.